Hello friends, I hope you all enjoyed last week’s discussion on the hypnagogic and hypnapompic experiences! Today we are going to continue this discussion by learning some exercises that are going to help you truly begin to pull this all together. Have you taken the time to practice or at least start getting familiar with your own hypnagogic and hypnapompic states? Perhaps you tried but weren’t really sure whether or not you were doing the right thing. All of this is normal as you start to get used to this process. Today I am going to hopefully help you get a little more familiar with this. And, if you want to connect with me on LinkedIn, I will be posting related videos to this content to truly help you harness the power of the hypnagogic experience. So let’s dive in! 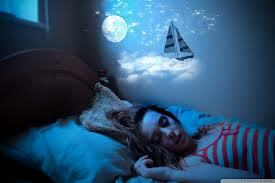 Do you remember what the hypnagogic dream and hypnapompic dream really are? They are basically just you dreaming, while you are at least partially awake. You will notice you start to enter this state when your body starts to jerk. Little jerks, like your foot jumping, your fingers twitching, or anything that sounds even remotely familiar. When you feel this happening, you are now in this state. This does not happen so much for the hypnapompic, but you may have times where you recall waking up one day and felt your foot jerking, or waking up before the rest of you did. How do you pay attention to what is going on unconsciously during this state? For starters, you need to have patience, and be prepared to practice. This is not exactly something that will magically come to you overnight. Keep some tools by your bed such as a pen and some paper so that you can write down the things that come to you. Then just, go to bed. The process is very similar to meditation, and many people report similar experiences during the hypnagogic state to meditation. The same happens for hypnapompic, but there are not as many reports. That doesn’t mean it doesn’t happen, hypnapompic reports are more rare, but they do happen. Some people have no experiences in the hypnagogic state when they are falling asleep, but they experience a lot of activity upon waking, and will even often report they are not “morning people”. This is due to this activity. As you enter your sleep state, or start to tell your brain you are going to sleep, do all of the things you normally do. Get ready for bed, do all of your routines, and then just, go to bed. Lie in bed telling yourself you are not going to sleep, but that you are going to “watch yourself sleep”. Then just breathe in, and out, and wait for the images and information to occur. And they will. With time. As far as the hypnapompic experience is concerned, it works the same way but backwards. Before you open your eyes in the morning, if you remember, pay attention to what you were “thinking about” i.e. dreaming, right before you chose to wake up.